SOLE AGENT! 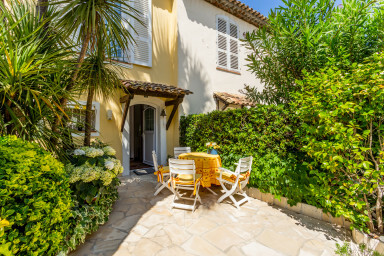 Pretty balandrine house in a private and very confidential area of Port Grimaud. At the entrance, a charming terrace surrounded by flowers. On the canal side, a very sunny terrace perfect to enjoy the light until sunset. The house is composed on the ground floor of a living-room with an open kitchen and on the 1st floor, 2 bedrooms, a shower-room and separate toilets. A 10m x 4,20m in front of the terrace. Thanks to its West/ East exposure, you will have sun during the whole day.